IBM Rational Collaborative Lifecycle Management (CLM) Deployment Package for Scaled Agile Framework (SAFe) - 321 Gang Inc. This service primarily benefits organizations (or programs) using traditional or waterfall processes and who are new to CLM, or those who are looking to accelerate its successful deployment in combination with SAFe. The CLM Deployment Package helps our customers using the Scaled Agile Framework accelerate their initial value from their investment in CLM. 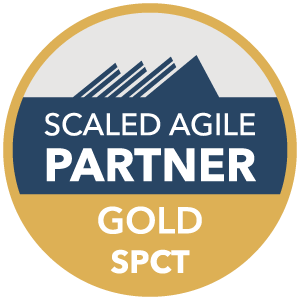 For those organizations looking to adopt principles Scaled Agile Framework (SAFe), this service includes the application of SAFe templates built to work with IBM’s CLM solutions. The goal of this package is to enable users to begin using a configured system meeting governance and compliance needs that contains their migrated data as quickly as possible. A 321 Gang SPC4 Solutions Engineer will work to develop each of the following areas for each CLM component tool. Typically 10 days to 2 months depending on the extent of configuration and data migration required. Specific needs of the project may require a different timeline. A 321 Gang Solutions Engineer will work with administrators and project leaders to understand the requirements of the deployment of the tools. Plan for the installation and document the system relative to the CLM tools and the related applications such as LDAP and databases. Install and document the installation of the Jazz Team Server, Rational DOORS Next Generation (DNG), Rational Team Concert (RTC), Rational Quality Manager (RQM), and other CLM tools as desired. Provide direct mentoring as needed to bridge the gap between classroom training and independent usage.